Welcome! Today I want to dive into the Innova ITX9700 Inversion Table. This low-cost option from Innova Health and Fitness offers functionality and comfort in one complete package. If you are interested in the many benefits of using an inversion table please continue reading. Some people use inversion tables to stretch out sore or tight lower back muscles. People tend to sit a lot on commutes to and from work, not to mention the long hours spent in front of the computer while at work, or home for that matter. All that sitting can make your muscles tight. An inversion table can help to stretch out these tight muscles. Other people, like me, use an inversion table for more complex issues like a herniated disc that can lead to sciatica (pain shooting down the leg). The idea behind inverting is that using gravity to your advantage can help to elongate the spine, relieving pressure on the discs and also helping those same discs to recover. The disc act as shock absorbers for the spine and they can take a beating. If you deal with back pain and have not tried an inversion table, I encourage you to speak with your doctor and see if this might be an option for you. I have been using inversion tables for several years to deal with chronic sciatica, and I love it. 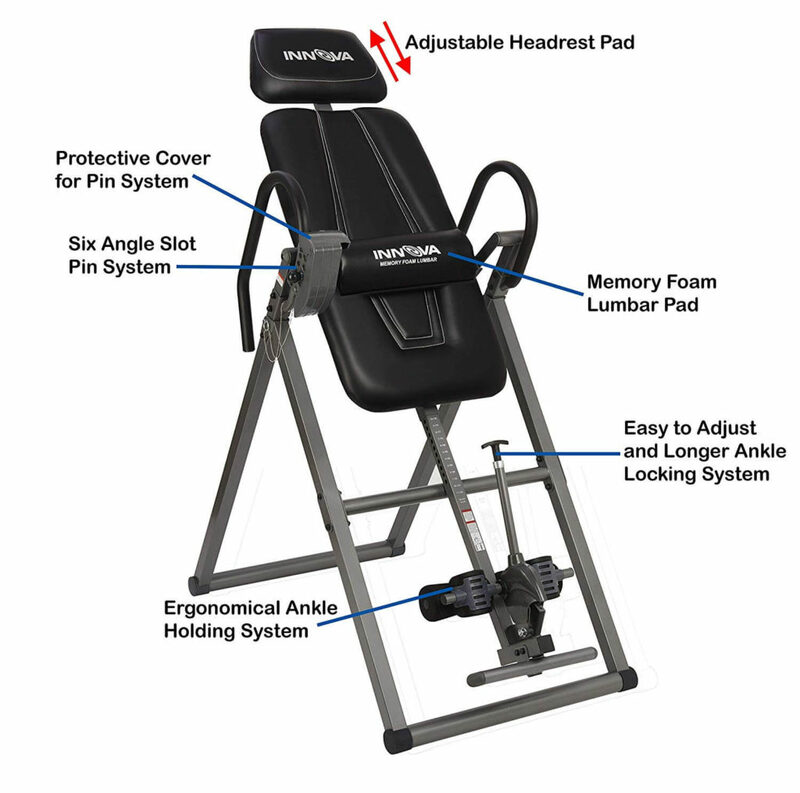 So, join me in taking a look at this inversion table. The backrest is large, made from comfortable memory foam, and is equipped with a lumbar support that accommodates a hot/cold compress (not included). A removable pillow for your head is included for extra comfort while you are inverting. One component I tend to scrutinize when looking at inversion tables is the ankle locking system. This mechanism is what you are relying on to hold you up when you are hanging upside down. Let’s take a look at the individual items that make up this apparatus; the footrest, ankle pads, and the locking/release handle. The footrest on this model is not adjustable as is the case on some inversion tables. An adjustable footrest is just one more customizable feature, and I wouldn’t necessarily expect that on an entry-level model like this. Not a big deal, but just something I wanted to point out. Next are the ankle pads, which need to provide a comfortable fit where they come in contact with your lower leg. The U-shaped, foam covered pads contour to the front and back of your leg. The cups will fit just above your heel in the back and on your lower shin in the front. The locking/release handle is what locks you in and enables you to release yourself when you are done inverting. The handle is short on this model, and I will explain why that is a problem. When you are dealing with back problems, bending over may not be a very easy thing to do. Take it from me, I have a lot of experience in this area. Several years ago, I was recovering from a herniated disc and was not able to bend over, so a short handle would be challenging for me. So, to get in and out of the inversion table, this short handle requires you to bend over further than a long handle. I recommend or prefer a more extended handle, so that is one strike against this model. For some people bending over may not be an issue, but if you are recovering from a back injury, this may be something you want to consider. Setting the user height is pretty straightforward with most inversion tables. The height adjustment tube has markings for different heights. Basically, you unlock the pin and slide the tube to the appropriate height. There are cases when you will need to make adjustments to the user height. Since everyone has a different center of gravity, you may need to make some minor tweaks to get the fit just right. Ultimately, you should be able to operate the inversion table, rotate in and out of inversion, using arm movements. If you are not able to do this, then adjusting the user height is your next step. In case you do get stuck upside down, there are padded handrails to help rescue you. Again, if the table is correctly calibrated for you, this should not be necessary. There is also a downside of this type of angle adjustment. I will draw on my personal experience again for this explanation. When I was recovering from a back injury in 2015, I started using my inversion table at about a fifteen-degree angle. Due to the severity of my injury, I needed to be able to increase my angle in pretty small increments, so making a fifteen-degree jump was not an option for me. That is why I have an inversion table with a tether strap, instead of preset angle increments. This may not be an issue to a lot of people, but it’s just something to think about. 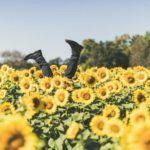 For all of you do-it-yourselfers out there, you are in luck! Yes, you get to assemble the inversion table. I have done this before, and it’s not too bad. You need a little patience, a few tools and ideally someone to help you. Inversion table parts are somewhat awkwardly shaped and can be kind of heavy. Having someone to help you hold the pieces together while you secure them can be really beneficial, especially if you have a bad back. Here we go, storing your inversion table. They seem to all be labeled, “foldable” or “storable,” and yes, they are mostly correct. The problem is these tables don’t always fold completely flat, for storing, say under a bed. As I mentioned a minute ago, inversion table parts are heavy and awkward. Well, the inversion table is even heavier and more awkward when it’s completely assembled. I find it’s just easier to collapse the table and lean it against the wall. I have tried to put mine under the bed, and it required taking the backrest off, lifting up the side of the bed and having my wife help me slide everything underneath. What a pain, especially with a bad back. I recommend setting up shop in a room, like a basement or an office, where you have the space for the unit and then just collapse it and lean it against the wall. Whew, done with that explanation. My incredible tip-of-the-day, drum roll, please, wear shoes when you invert. Wearing shoes makes the entire experience so much more enjoyable. Oh, believe me, I have gone barefoot before, and it is not a pleasant experience. 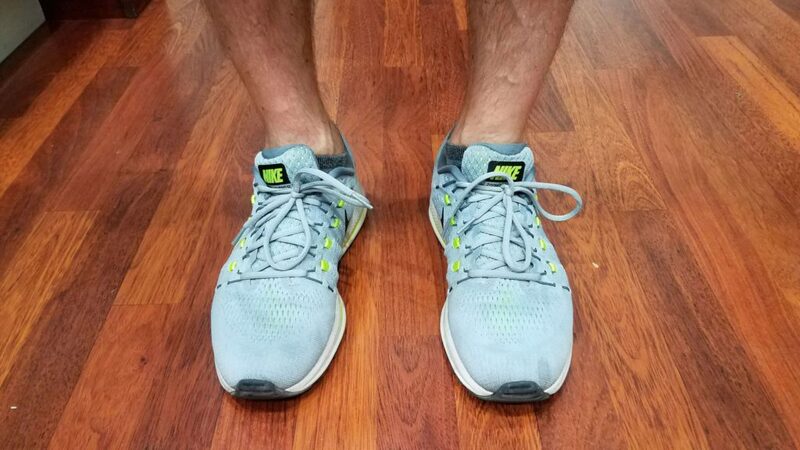 A good pair of adequately laced up athletic shoes and you are good to go. The reason I tried barefoot is not so much to “try” barefoot, but because my back injury prevented me from bending over to put on my shoes. I was taking the “easy” way out. I ended up having my wife put my shoes on (as she had to do every morning, but that is another story). Well, thanks for hanging in there with me, if you have read this far, let’s recap. I like the fact that this table is pretty inexpensive. The things I don’t personally like are the short release handle and the preset inversion angles. Now, if you read this entire post, you know that these two things I dislike may not be an issue for you, but I wanted to point them out. I think this is a solid inversion table at an affordable price, now it’s up to you. If you have any questions or comments, please leave them below, and I will get back to you as soon as I can. As always, I appreciate you taking the time to stop by today. Innova Inversion Table ITX9600 – Good Value Or Not?